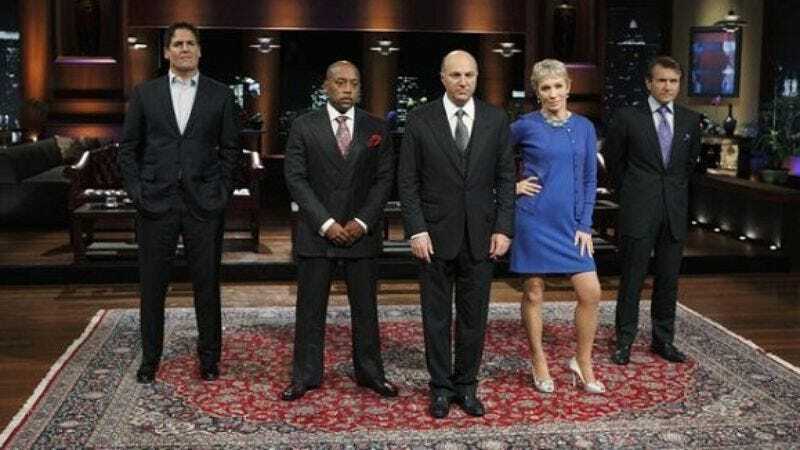 Shark Tank, the reality show where starry-eyed entrepreneurs quail under the withering glares of investors who have the power to either help them reach their goals or stamp their dreams into dust, has been a consistently high performer for ABC. Eager to chase that high, the network has ordered a 10-episode companion series called Beyond The Tank, which will follow former contestants as they try to sell their products in the real world. The original show already provides glimpses of how winning participants fare after their products go on the market, but the new show will take a much more extensive look at their successes and failures. Also, Beyond The Tank won’t be limited to catching up with people who actually secured funding from the Sharks—it’ll also follow the folks who were rejected, but still thought their bacon-cooking alarm clocks and golf club/toilet hybrids were worth selling anyway. Meanwhile, an Australian version of the original show (which itself is an adaptation of a British show) is in the works, proving that people all around the world believe that anyone can become rich if they can only convince a bunch of scary people to give them money.